good morning. not going to say anything dumb this week. Headphones failed. Office door closed. Proceed. I work in an open office. If my headphones ever died, I'd have to call in sick. Little Suzie is going to be sleeping into December at this rate. @Oscar, yeah I could totally see that. I always have back-up hedfons and redundancies at my work station so there are multiple ways to plug in (usually, I use my phone). @NGH ever invest in a halfway decent bluetooth speaker? @TheLoneliesMonk: I usually use Bluetooth headphones, but occasionally, the battery dies. I have a private office, but my boss comes in and out frequently. favorite headphones? i’m not an audiophile snob and not very knowledgeable. i like my bottom of the line sennheiser- bluetooth. rugged and hold a good charge. Rugged is my main requirement right now. I'm tired of them crapping out after a few months. I may try sennheiser. Hopefully those will be good. I like both brands. @alan nice! which ones sound better? had the audio technica Bluetooth.they broke 3x in the first year. sounded a bit better but made poorly. Symphonized sound great for the price but just don't hold up over time. @NGH oh, and it's def small enough to stash in your desk in a hurry! headphones? eegad. Last time I shopped around, couldn't stand how everything seemed to be either too flat or too artificially bass-y. Best compromise seemed to be the Bowers & Wilkins ones found at apple stores; cloth pads = comfortable as well. Not cheap, but it's a medical/mental necessity..
& in-ear options are never an option. Steve Reich: "oh hey a musical idea"
Ahh yes...The Stallion with my morning coffee. Thanks John! 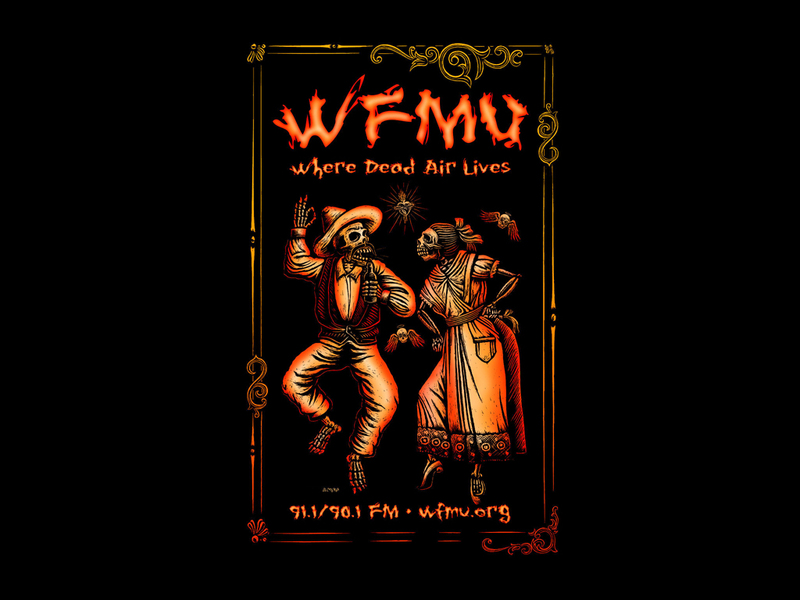 This is why I like WFMU ... a song suddenly crops up that you never heard ... and it's great. Can someone tell me about "The Stallion"? The Stallion: was that a cover of some song from The Wall. Was it "The Newbridge Wall"? Good choice of cover, peak Minutemen. I loved this Minutemen cover from the third second. I loved it in 1962.
nice. ac marias! i love that whole album. bowers & wilkins. would bust my earphone budget. the store on 46th has great service and choices. This is amazing lo-fi lady muezzin gypsy space fuzz. Apropos to nothing, but does any DJ on WFMU play Christmas reggae? Thank you in advance! i'd be surprised if Jeff Sarge doesn't play xmas songs every year. saw annette in 2013. part of an exhibit. have a great time. bowers & wilkins definitely not cheap. had to do battle with many internal $$ demons for that, & had to conclude that as many hours a week as I use 'phones, it's almost like a medical necessity. Also: shocking how bad many other ones (that are just as expensive) are, in sound quality. ... The whole market is saturated with wretched dog poo, sadly. oh i sure don't like wretched dog poo. i'm not even sure i like regular dog poo that much. My problem is that they don't last that long. It's almost not worth paying more for sound quality when they give out after a short time. I guess I'd pay more for something I know is built like a tank at this point. my ancient koss still sound good, after 40 years. not great, but as phones are unjustifiably expensive now they sound good enough. i mostly listen via large (also old) loudspeakers anyway. totally dig, CfDC. These 'phones at least have a removable/replaceable cable .. & that's the thing that fails most often; so I've ordered a couple spares. Living without 'phones is a human-rights violation. Power to the people. floating, TURBULENCE, floating, floating. . .
@ Druid I agree. Mine are a bit tinny. So much crap out there! have a safe and crap free weekend everyone! Lovely sounds! Also, there was a jackass on the PATH train playing his music out loud today. I'm never sure whether or not to say something. Then we're kinda both jackasses. Fortunately someone else spoke up first, and then of course I just confused the hell out of the guy who spoke up when he didn't understand what I said when I tried to back him up. Jackass chaos. What I mean is: Headphones, headphones, headphones! Maybe even have a backup pair on ya! i rarely listen to (my own source) music in public. i have music in my head. but i can't imagine enjoying music coming out of a little funkbox or whatever - even if it's a good one. I gotta find a way to see Full Mantis. Thanks for the clip.